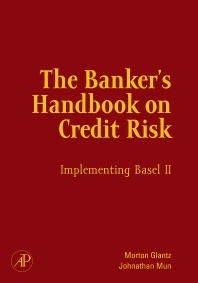 The Banker's Handbook on Credit Risk shows you how to comply with Basel II regulations on credit risk step by step, building on the basics in credit risk up to advanced credit risk methodologies. This advanced credit/risk management book takes a "new tools" approach to Basel II implementation. The hands-on applications covered in this book are vast, including areas of Basel II banking risk requirements (credit risk, credit spreads, default risk, value at risk, market risk, and so forth) and financial analysis (exotic options and valuation), to risk analysis (stochastic forecasting, risk-based Monte Carlo simulation, portfolio optimization) and real options analysis (strategic options and decision analysis). This book is targeted at banking practitioners and financial analysts who require the algorithms, examples, models, and insights in solving more advanced and even esoteric problems. The book comes complete with a DVD filled with sample modeling videos, case studies, and software applications to help the reader get started immediately. The various trial software applications included allows the reader to quickly access the approximately 670 modeling functions, 250 analytical model templates, and powerful risk-based simulation software to help in the understanding and learning of the concepts covered in the book, and also to use the embedded functions and algorithms in their own models. In addition, the reader can get started quickly in running risk-based Monte Carlo simulations, run advanced forecasting methods, and perform optimization on a myriad of situations, as well as structure and solve customized real options and financial options problems. Professor Morton Glantz serves as a financial consultant, educator, and adviser to a broad spectrum of professionals, including corporate financial executives, government ministers, privatization managers, investment and commercial bankers, public accounting firms, members of merger and acquisition teams, strategic planning executives, management consultants, attorneys, and representatives of foreign governments and international banks. Professor Morton Glantz is a principal of Real Consulting and Real Options Valuation, firms specializing in risk consulting, training, certification, and advanced analytical software in the areas of risk quantification, analysis, and management solutions. As a JP Morgan Chase (heritage bank) senior banker, Professor Glantz built a progressive career path specializing in credit analysis and credit risk management, risk grading systems, valuation models, and professional training. 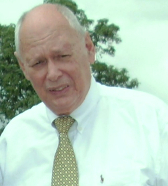 He was instrumental in the reorganization and development of the credit analysis module of the Bank’s Management Training Program-Finance, which at the time was recognized as one of the foremost training programs in the banking industry. Professor Glantz is on the (adjunct) finance faculty of the Fordham Graduate School of Business. He has appeared in the Harvard University International Directory of Business and Management Scholars and Research, and has earned Fordham University Deans Award for Faculty Excellence on three occasions. He is a Board Member of the International Standards Board, International Institute of Professional Education and Research (IIPER). The IIPER is a global institute with partners and offices around the world, including the United States, Switzerland, Hong Kong, Mexico, Portugal, Singapore, Nigeria, and Malaysia. Professor Glantz is widely published in financial journals and has authored 8 books. Dr. Johnathan C. Mun is the founder and CEO of Real Options Valuation, Inc., a consulting, training, and software development firm specializing in strategic real options, financial valuation, Monte Carlo simulation, stochastic forecasting, optimization, and risk analysis located in northern California. He is also the Chairman of the International Institute of Professional Education and Research (IIPER), an accredited global organization providing the Certified in Risk Management (CRM) designation among others, staffed by professors from named universities from around the world. He is also the creator of the Real Options Super Lattice Solver software, Risk Simulator software, and Employee Stock Options Valuation software at the firm, as well as the risk analysis Training DVD and he holds public seminars on risk analysis and Certified in Risk Management (CRM) programs. He has authored eight books including Modeling Risk: Applying Monte Carlo Simulation, Real Options, Optimization, and Forecasting, (Wiley 2006), Real Options Analysis: Tools and Techniques, First and Second Editions (Wiley 2003 and 2005), Real Options Analysis Course: Business Cases (Wiley 2003), Applied Risk Analysis: Moving Beyond Uncertainty (Wiley 2003), Valuing Employee Stock Options (Wiley 2004), and others. His books and software are being used at top universities around the world (including the Bern Institute in Germany, Chung-Ang University in South Korea, Georgetown University, ITESM in Mexico, Massachusetts Institute of Technology, Naval Postgraduate School, New York University, Stockholm University in Sweden, University of the Andes in Chile, University of Chile, University of Pennsylvania Wharton School, University of York in the United Kingdom, and Edinburgh University in Scotland, among others).